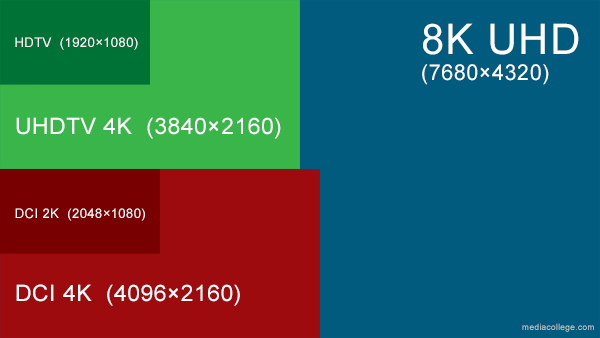 720 (aka HD) is a format with 720 horizontal lines and an aspect ratio (AR) of 16:9 (1.78:1). The number 720 stands for the 720 horizontal scan lines of image display resolution (also known as 720 pixels of vertical resolution). When broadcast at 60 frames per second, 720p features the highest temporal (motion) resolution possible under the ATSC and DVB standards. The term assumes a widescreen aspect ratio of 16:9, thus implying a resolution of 1280 px × 720 px (0.9 megapixels). 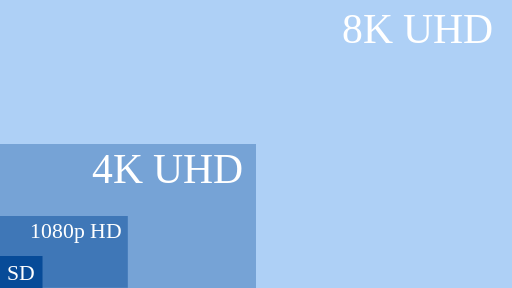 1080p (aka Full HD/ FHD and BT.709) is a set of HDTV high-definition video modes characterized by 1080 horizontal lines of vertical resolution and progressive scan, as opposed to interlaced, as is the case with the 1080i display standard. The term usually assumes a widescreen aspect ratio of 16:9, implying a resolution of 1920x1080 (2.1 megapixel) often marketed as Full HD. The choice of 1080 lines originates with Charles Poynton, who in the early 1990s pushed for "square pixels" to be used in HD video formats. Ultra high definition television (also known as Ultra HD television or UHDTV or UHD) includes 4K UHD (2160p) and 8K UHD (4320p), which are two digital video formats proposed by NHK Science & Technology Research Laboratories and defined and approved by the International Telecommunication Union (ITU). 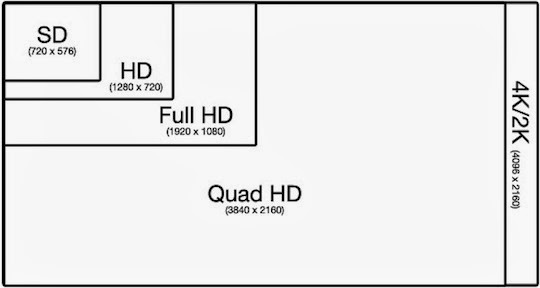 The Consumer Electronics Association announced on October 17, 2012, that "Ultra High-Definition", or "Ultra HD", would be used for displays that have an aspect ratio of at least 16:9 and at least one digital input capable of carrying and presenting native video at a minimum resolution of 3,840x2,160 pixels.